LA PALMA, Cuba, Sep 16 2015 (IPS) - Armando Marcelino Pi divides his day between the university, where he teaches philosophy, work on his family farm, and coordinating a group of 33 agroecological farmers, in this mountainous rural municipality in western Cuba. “There is a need for a greater application of science and technology in agriculture; farmers must have access to the knowledge available in research centres,” Pi told Tierramérica. 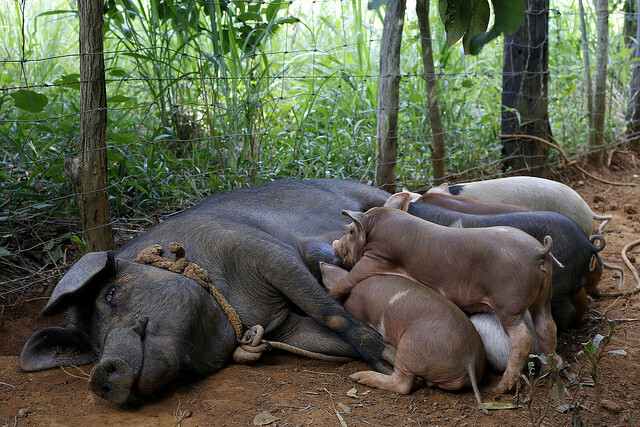 He and 12 members of his extended family grow fruit and raise pigs, barnyard fowl and bees using environmentally-friendly techniques at La Carmelina, a seven-hectare farm. “Many small farmers have not yet joined the agroecological movement,” said Pi, who blames this on a lack of knowledge of these practices, resistance to change, scarce available services for ecological farms, and low prices for organic foods, which are harder to produce. La Carmelina produces everything from its own organic fertiliser to swine feed based on palm fruits, cornmeal and sugarcane flour. 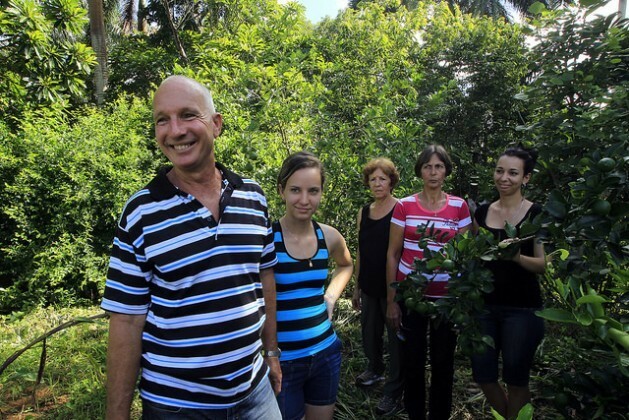 In the search for greater and more sustainable growth in Cuban agriculture, researchers and ecological producers like Pi are working – in 45 of Cuba’s 168 municipalities so far – to establish a system of innovation in order to support local governments in boosting socioeconomic development. “We are trying to organise municipal groups with a diverse range of actors, to create a Local Agricultural Innovation System (SIAL) which would be the first of its kind in the country,” said Iván Paneque, the coordinator of the Local Agricultural Innovation Programme (PIAL) in the western province of Pinar del Río, where La Palma is located. The leaflet states that the SIAL expands the work of the PIALs, which in 2000 began to teach rural families to obtain their own seeds, while promoting greater participation by women and young people in agriculture, a pending task in rural Cuba. The PIALs also help to create networks among farmers and assist them in marketing and selling their produce more effectively, while strengthening climate change adaptation and mitigation. This training programme, coordinated by the government’s National Institute of Agricultural Sciences with the support of international development aid, has improved the lives of 50,000 people in the 45 municipalities in 10 provinces where it is operating. The plan is to reach an additional 30 municipalities by 2017. The mission of the new SIAL platform is to provide people with alternatives for producing more with the limited resources available in this socialist island nation, which has been attempting to overcome an economic crisis for more than 20 years without dismantling all of the existing controls or throwing the economy open to the global market. But experts say the government’s agricultural innovation system is barely functioning because of the economic depression and decades of excessive centralisation. Among the many hurdles faced in the quest to boost agricultural production they cite farmers’ limited access to necessary technologies and know-how. In the meantime, Cuba cut public spending on research and development in half in the last four years, from 651.5 million dollars in 2010 to 380.5 million in 2014, according to the latest figures reported by the national statistics office, ONEI. Advocates of agroecology told Tierramérica that it is time to take better advantage of the opportunities presented by the decentralisation of agriculture and the empowerment of local governments that have formed part of the economic reforms ushered in by the government of Raúl Castro since 2008. As Paneque told Tierramérica, “many projects and people are working on local agricultural innovation, but not as a system. “It’s not enough to only reach the cooperatives, we have to go beyond that, to the municipal governments and the municipal agriculture offices (the local representative of the agriculture ministry) among others, to work together and join forces and pool resources,” he said. “We have already presented the SIAL to the La Palma municipal government and we are waiting for it to be approved,” said Paneque, who is also studying the progress made in this municipality, where initiatives undertaken by several specialists gave rise to the PIAL and its special biodiversity fairs, where farmers exchange seeds, seedlings, techniques and know-how. The group includes farmers who have adopted innovative techniques, researchers from different disciplines, representatives of the municipal branch of the Agriculture Ministry, the president of the local government, and activists from rural organisations and associations of agricultural technicians and agronomists. He also said it would provide a platform for dealing with burning issues with local authorities, such as the need to certify agroecological products, obtain competitive prices for organic foods, support the creation of small canning companies, and extend the use of techniques to preserve the soil. Paneque said that with support from the authorities, all farmers in La Palma could cover their own supplies of bean seeds. Farmers trained in techniques for seed conservation and improvement now have “a local bank of seeds, of 285 varieties of beans,” he said. The main economic activity in this mountainous municipality of just under 35,000 people spread out over 636 sq km is agriculture, including tobacco farming, stockbreeding, and forestry. University professor Bárbara Mosquera said the system “will establish connections between the government and the agencies and institutions that can facilitate innovative processes for development. “There have been many good experiences among the cooperatives and individual farmers, to be replicated,” she said. The SIALS, which so far have emerged in 45 municipalities that now have networks of farmers, still have to be approved by the local governments. Representatives of the project’s national leadership told Tierramérica that 26 municipalities have signed agreements with a view to giving the new collectives institutional status. “Know-how and the creativity of individuals play a key role in Cuban agriculture, which has been hit hard by the economic crisis, and where inputs are scarce,” said Rodobaldo Ortiz, general coordinator of the PIAL, in a meeting with journalists in Havana. 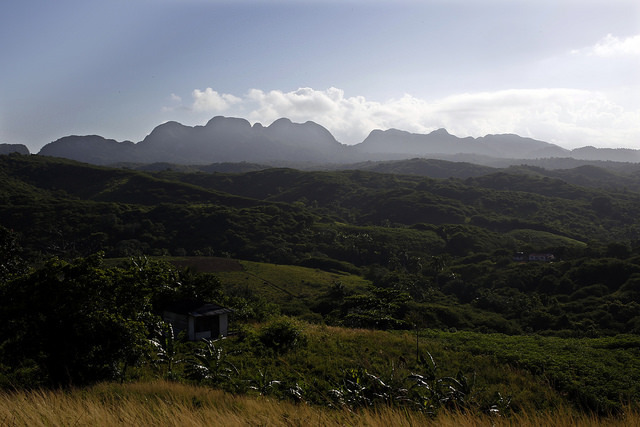 “People should produce ecologically and adapt these techniques to their land,” he proposed, referring to the 500,000 farms in this Caribbean island nation. Family farms, backyard gardens and urban agriculture have led the agroecology trend, although it is also present in all forms of agriculture in the country, where cooperatives are dominant. Agriculture, led by tobacco, sugarcane, and vegetables, grew 4.8 percent in the first half of the year – one-tenth more than overall economic growth. In 2014, the sector represented 3.8 percent of GDP.